Alex is a native New Yorker, Filmmaker, Production Designer, writer and still photographer. She started out with a high school internship for a show called “In The Mix” a program for urban teenagers. Since then her photographs, articles, & illustrations have appeared in The New York Sun, The New York Press, & NewPartisan.com. 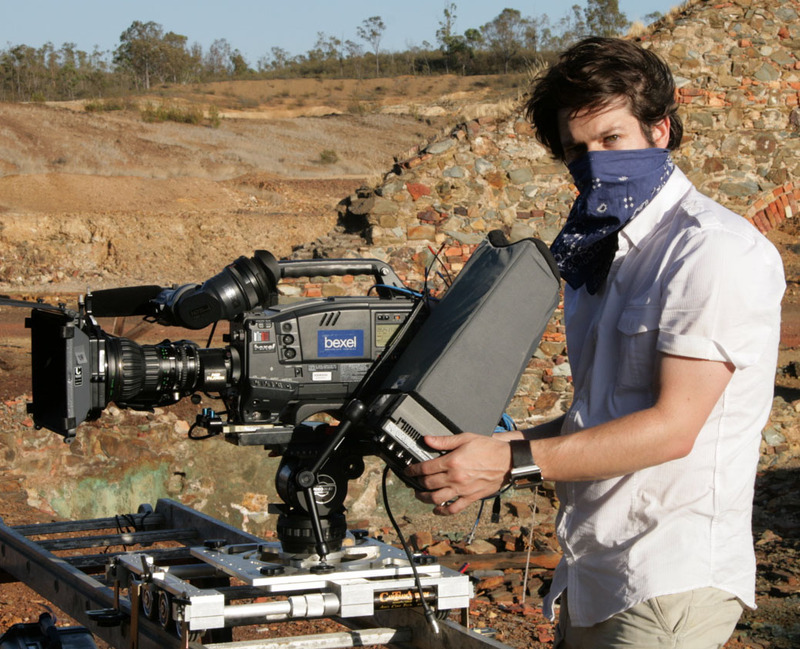 As a Production Designer & Art Director Alex has worked on such films as “Day Zero” (starring Elijah Wood, Ally Sheedy, and Ginnifer Goodwin), “Superheroes”(Dash Mihok), “El Camino”(Leo Fitzpatrick, Elizabetth Moss), “The Tested” (Aunjanue Ellis, Armondo Riesco, Frank Vincent), and “A Kiss of Chaos” (Judy Marte, Manny Perez, Michael Rivera with Paul Calderon and Adam Rodriguez). Her documentary feature, Up at Lou’s Fish, a portrait of the Fulton Fish Market on South Street (Ed Koch, Kevin Baker, John Fipp Avlon, & Barbara Mensch) was selected by Raindance Film Festival in London, and won Best Documentary Feature at The Evil City Film Festival in New York. Her ultimate goal is to fuse history and fantastical realism to portray the inherent profundity in the changing face of urban culture. After cutting his teeth as a production assistant on over 100 national commercials Nick Esposito gravitated to the exciting world in independent film, production managing his first feature in 2000 at the age of 21. Working as a production manager and eventually a producer on a variety of independent films Nick brought a palpable level of professionalism and preparation to the low budget sets he ran. In 2002 he with a group of young filmmakers with exceptional resumes formed Backseat Conceptions. Since that time Backseat has established itself as one of the top production companies in Philadelphia, specializing in large scale, low budget projects. In the past year he production managed a feature called “100 Proof”, produced multiple music videos for Sony and web commercials for Baskin and Robbins and Trojan Condoms. Evan Meszaros has been in the Film and Television industry for over 10 years in nearly all levels of production, including Location Sound and Cinematography, and has worked beside some of the most important figures of the Independent film community. Recently, he was commissioned by Trojan Condoms to create three spots for their provacative new “Evolve One / Evolve All” campaign. Jarred Alterman is an award wining filmmaker with, Mott Music; a documentary about a piano factory in the Bronx, that premiered at SXSW, and played on Sundance Channel. He recently collaborated with Charles Atlas & Mika Tajima of New Humans in a SFMOMA installation entitled: This is Not a Dress Rehearsal. He has worked with Merce Cunningham Dance Company, Marc Jacobs, and the kinetic artist Christiaan Zwanikken. He is currently in post production with his first feature length documentary, The Convento, that takes place in a remote village in Portugal. Mark made his first edit at age seven, splicing together super-8 film for “Gums”, a stop motion tale about a not-so-scary shark. The old super-8 is gone but Mark still loves to edit. He is a staff editor for Homestead in NYC. He recently completed his short film ‘Expiration’, which played in many festivals around the country including Los Angeles, Palm Springs, SXSW, Orlando, New Orleans, St. Louis, and Newport Beach. Mark has a unique point of view which has helped to make ‘I am a Fat Cat ‘ the exceptional film it is. Kevin Palmer cuts at Homestead Editorial in New York. In addition to the his commercial work there he found time to edit Bill Plympton’s most recent animated feature “Idiots and Angels” (2008) which has screened (and received awards) at scores of festivals on at least 5 continents. He has edited short films in English and in Polish, including Zbigniew Bzymek’s “Nagle na zawsze” (2008) which received the Grand Prix du Jury at Rencontres Henri Langlois Festival in Poitiers France and Mariko Saga’s “Vena Cava” (2009). He is beginning post-production on Bzymek’s forthcoming English language feature, “Made-up Language” (2011?) He began editing after earning a degree in Russian Language and Literature from Amherst College in 2000. When not working he tries his best to travel the world, study a foreign language or two and tour on one of his bicycles. Elizabeth Ralston is a New York City based Art Director and Property Master for films, commercials, music videos, and photography. Her work spans over 15 feature-length films, and she specializes in working on projects with custom-built props and special effects. Some of her most recent work includes the films A Kiss of Chaos, directed by Ricardo Sean Thompson and starring Adam Rodriguez and Judy Marte, which was screened at the 2009 New York International Latino Film Festival, and The Hungry Ghosts, directed by Michael Impeioli and starring Steve Schirripa. As a graduate of the South African Academy of Arts, with a four year intensive and comprehensive arts curriculum, she went on to study Aesthetics and Film at AKTO University of Art & Design in Greece. Traveling throughout Europe working as a makeup artist, wardrobe stylist, and hairstylist with touring bands led Sky to set up a private makeup station in Miami; where she focused on model portfolios, publicity CDs for musicians and actor head shots. Sky has accumulated a diverse creative experience. She prides herself in speed and precision, making her tools a natural extension of herself and her creativity truly knows no boundaries. Shana A. Solomon—always has watched movies and plays, repeating the words, facial expressions and emotions that emanate from characters—always an actor. She attended the Deena Levy Theater Studio, New York. She has acted in independent films, television, theater and commercials. She is one of the Principal roles in I am a Fat Cat. 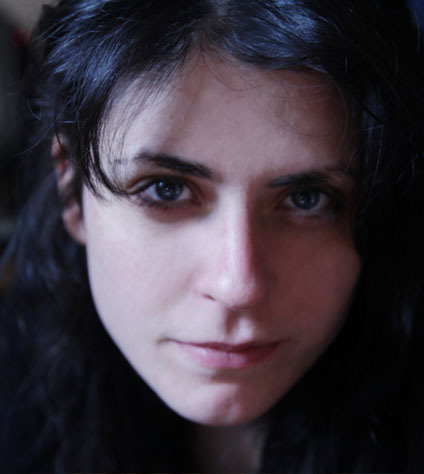 Tatiana Gomberg has worked on various films as well as extensively Off and Off- Off Broadway as well as regionally in projects ranging from classical to contemporary experimental. Her work in The Night of Nosferatu garnered her an NYIT award nomination for Best Featured Actress. Youtube her and see what comes up! Over the past 10 years Geoff Mosher has worked as an Actor, Animator and Screenwriter. Projects include Spygroove, The Toxic Avenger 4: Citizen Toxie, Die You Zombie Bastards and Windcroft. He is currently working on a film about the Jersey Devil. Radio stations from around the U.S. and even some in foreign countries such as Italy and Europe, are giving ear (and play) to Double A’s songs. However Double A’s compassion for music and a desire for bringing new life to the Music industry are not the only things he is participating in these days. Jeffrey Ortiz P.K.A. as Double A. D.A. is also putting his acting talents to play. Double A. D.A. can be seen in the upcoming “Step 3-D” film as well as in “The Bounty”. Andrew Sarubbi, known as being a dreamer with many talents, was born in Manhattan of New York City. At an early age he expressed much love and admiration for the arts, which are among his main priorities and passions in his life. He currently pursues acting fulltime. Michael Karp has performed in genres from Shakespeare to circus–despite an occasional foray into “the Dark Side” (public relations and journalism). He is honored to be included in the debut film of a gifted writer/director. Jose Aquiles Candelaria is an actor, singer/songwriter, and alumnus of the University of Miami (FL) majoring in Jazz Vocal Performance & Music Business. He has studied and performed with jazz greats Kevin Mahogany and Kurt Elling, conductor Skitch Henderson (NY Pops), songwriter/producer Desmond Child, actors Gavin Creel, Erin Dilly and is a choral scholar and member of the Schola Cantorum on Hudson. He is currently working on a B.A in Philosophy at NJ City University. Brian Keith Austin’s need to express his love of the arts and making people groove has been with him from the very beginning. Going by emcee Aero, he’s represented as a voice and hosted at events such as the Dance Parade NYC, UniQlo, New york Tokyo Music Festival, Cut & Paste Design tournament SayWord Entertainment & Electronic Dance music parties with notable names such as Talib Kweli, Markus Visionary, Moving Fusion, Bad Company, Hired Gunn, Kenny Ken, Ill-isha, Dj Prayin Mantis & many more! From acting in various small plays as a young teen in high school, joining the college a cappella group the Earth Tones in college, and now doing voice-overs for Halo 3 Machinima online series This Spartan Life, Brian has been able to captivate the audience with his ability to bring any character to life. Are YOU a Fat Cat?